PENICHE, Portugal (Tuesday, October 16, 2018) -The MEO Rip Curl Pro Portugal, Stop No. 10 of 11 on the Men’s World Surf League (WSL) Championship Tour (CT), launched in pumping six-to-eight foot (1.8 - 2.4 metre) surf to challenge the best surfers in the world. Unruly conditions at first light this morning gradually cleaned up to offer hollow barrels by lunchtime to complete the opening round of competition as well as six heats of Round 2. The new Jeep Leader after France, Gabriel Medina (BRA), found his groove right away on familiar territory in Peniche. 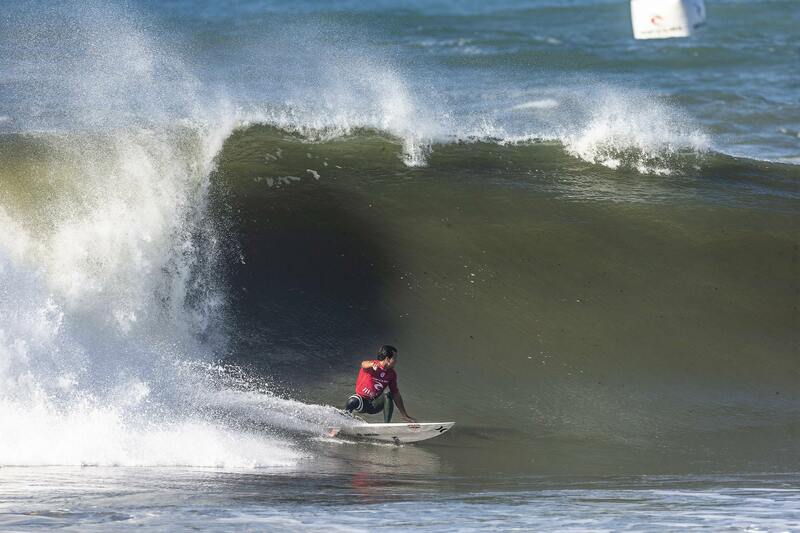 Medina evidenced why he is the defending event winner at Supertubos by threading some of the cleanest barrels of the morning and also attacking the solid lips on offer to post a 13.17 total (out of a possible 20) and easily advance into Round 3. The 2014 WSL Champion Medina can only earn a second World Title early at this event if he wins, and if No. 2 Filipe Toledo (BRA) and No. 3 Julian Wilson (AUS) get knocked out early from the competition. Toledo almost suffered another blow in his World Title campaign by being relegated to Round 2 by compatriot Tomas Hermes (BRA) this morning, but later redeemed himself with a critical win over Rip Curl wildcard Samuel Pupo (BRA) in Round 2, courtesy of a long barrel ride and 8.17 single highest score (out of a possible 10). The recent winner in France and current World No. 3 Julian Wilson (AUS) posted one of today’s biggest performances with two solid rides to take a 14.50 total win that will see him straight into Round 3. The Australian started with a deep backhand barrel, which he exited cleanly for a 7.50 and later committed to a high-risk floater re-entry maneuver on his backhand once again for a 7-point ride to seal the deal. Only Kanoa Igarashi (JPN) could surpass Wilson’s scoreline in the opening round today, posting a strong 14.77 for two similar waves on which he performed two-turn combinations on his forehand. - Only Medina can claim the title in Portugal by winning the event. 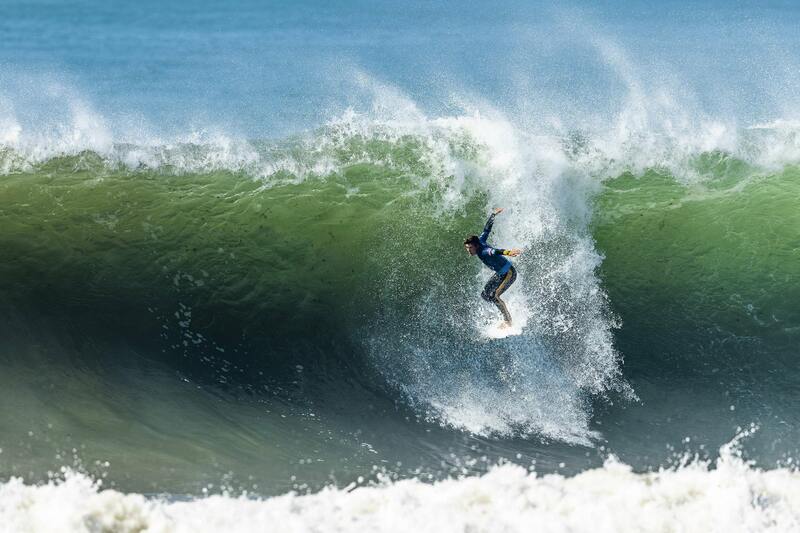 - If Medina finishes 2nd or worse in Portugal, the WSL Title will be decided in Hawaii. Rookie Griffin Colapinto (USA) scored the first deep barrel of the event, starting behind the section on a solid right, the Californian pumped to move through a couple of sections and exited it to finish the ride with a re-entry. Judges awarded the first excellent 8.00 for Colapinto’s second wave. But Conner Coffin (USA) found his own clean tube, a shorter ride but sufficient, to post the winning 7.33 score into Round 3, sending Colapinto and Joan Duru (FRA) into the elimination Round 2. 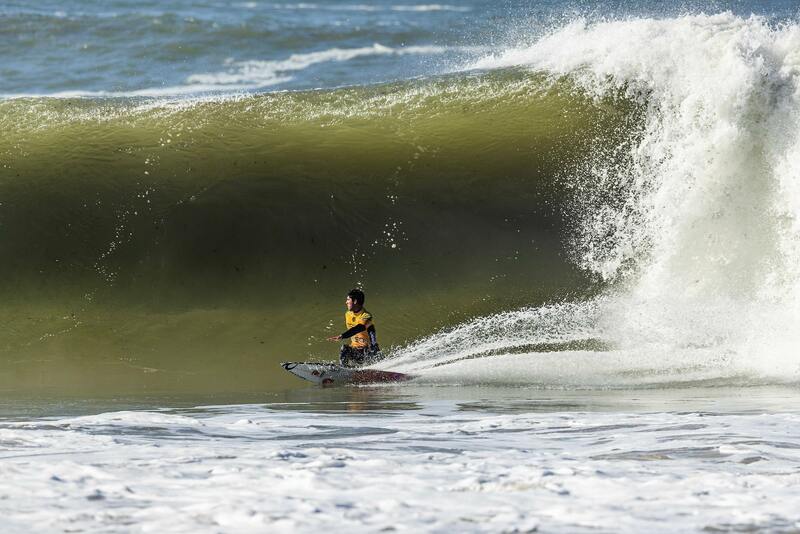 A runner-up in Peniche in his rookie season, Italo Ferreira (BRA) has since struggled to make it out of Round 3 at Supertubes. Today the Brasilian started well with two above-average scores in one of the morning’s slower heats. Ferreira first stuck to the wave face with aggressive backhand turns and later threw caution to the wind to go above the lip on his forehand, getting his second score on a single-maneuver. Jordy Smith (ZAF), one of the most consistent surfers in Portugal over the years, found a couple of backhand barrels this morning when the lineup was still messy and showed why he’s so dangerous in the thumping shorebreaks of Peniche. The South African advanced into Round 3 and sent Yago Dora (BRA) and Keanu Asing (HAW) into elimination Round 2. Ryan Callinan (AUS), runner-up at the Quiksilver Pro France only a few days ago, received another opportunity to compete against the world’s best surfers as a replacement wildcard for this event. The young Australian launched the show in the first heat of the morning and posted another upset win to send Owen Wright (AUS) and Ezekiel Lau (HAW) into Round 2. Callinan suffered heavy wipeouts in that heat but also found some nice walls to exploit on his forehand to post a 6.00 and take the win. Round 2 unfolded in smaller conditions as the first pulse of swell softened throughout the afternoon. All six heats witnessed top seeds take wins with Owen Wright (AUS), Wade Carmichael (AUS), Kolohe Andino (USA), Willian Cardoso (BRA) and Michael Rodrigues (BRA) all advancing over local wildcards and lower seeded surfers. Be interesting to see if he, and KS too, return for Pipe. I'd say it's short odds on them showing up. Do you know much about the injury wildcards? Caio Ibelly has been out all year(?) legitimately and JJF most of year. Aren’t there only two of those too hand out? I think you will find Kelly does whatever Kelly wants. He still has pulling power so the WSL will do whatever to have him surf whenever he wants.